Example of a piece of work from the MA this year. Might be of interest to those interested in the politics of Britian and the European Union. Good book, very insightful. In Britain and the European Union (2013), Andrew Geddes attempts to explain and analyse the complex political and economic relationship that has developed between Britain and the ‘European project’ since the post-Second World War period. Geddes directs this analysis through two principal themes; ‘Britain in Europe’ and ‘Europe in Britain’, the former scrutinising Britain’s relations with Europe and British governments role in shaping European institutions, the latter the extent to which Europe has become integrated with Britain’s internal political system and processes (2013:12-16). As a means of developing these themes, Geddes provides an analysis of a wide range of aspects of Britain and European integration, for example Britain and the EU decision-making process; Britain and Core EU Policies; Britain and EU High Politics and the British state and European integration, to name only the central focuses. This is achieved by Geddes through a historical institutionalist approach (2013:8-11). This conceptual framework attempts to explain political processes, such as European institutional integration, through a focus on the institutions in which they take place and the choices that political actors make within them (Steinmo et al, 1999:2). For Geddes, the reason for Britain’s integration with Europe ‘must lie within the actions and preferences of political actors within the British political system and the effects of these actions, whether intended or not’ (2013:8). It is this choice of historical institutionalism (HI) as an approach (from which Geddes analyses the integration of Britain within the EU), that will form the main focus of this short critical review. Other themes such as the rise of British euroscepticism, the argument of Britain as an ‘awkward’ or ‘reluctant’ participant in Europe, and its development as major policy issue within political parties in recent history have all been extensively covered elsewhere (see Aspinwall, 2004; George, 1998; Gowland and Turner, 1999; Gowland, et al. 2009; Forster, 2012; Wall, 2008) and will not be done so again here. The conceptual approach taken by Geddes is the most interesting aspect of the book, and will therefore be focused upon in depth. While there are considerable strengths in the historical institutionalist approach to European integration used by Geddes, I will challenge this by arguing that a social constructivist approach is an equally important methodological tool for understanding the political process behind European integration, drawing support from the relevant literature where necessary to support my argument. As Checkel has argued (1999:545), social constructivism has not been given the attention by integration scholars it perhaps deserves, with institutionalist accounts (in this case, the historical strand) dominating. Before proceeding, however, it is important to place this book in context with the authors other work. This book is a development of the authors previous book, The European Union and British Politics (2003), and has subsequently been cited over 80 times by other scholars (Google Scholar, 2014) and is considered an important contribution to the literature on European integration. Geddes work has focused on the politics of European integration, British relations with the European Union (EU), comparative European politics and international migration. This is therefore a significant contribution on European integration theory and should be carefully considered by students and academics. HI, as suggested by Geddes in the book, places importance on ‘the way in which decisions made at particular points in time and for particular reasons can become locked-in and difficult to change’ (2013:8). Importance, in relation to European integration and Britain, is placed on the ‘value of historical perspectives’ and decisions made in the 1950’s and 1960’s (or during any period crucial to European integration) which have fundamentally shaped the ‘path dependence’ of integration for European states like Britain (Geddes, 2013: 8-9). As Pierson (1996: 126) argues, political development is a process that emerges over time and is therefore inherently historical. It is also institutionalist because many of the consequences of these political processes emanate from institutions, for example the UK Parliament, the Treasury, European Commission, or the Council of Ministers, be they in the form of ‘formal rules, policy structures or norms’ (Pierson, 1996: 126). Historical institutionalist analysis focuses on the ways in which institutions ‘constrain and refract’ and ‘shape both the strategies and goals of political actors (Fairbass and Jordan, 2001:7 as cited in Geddes, 2013:9). As argued by Geddes in the book (2013:9), Britain’s decision not to participate in the European Steal and Coal Community (ESCC) and the European Economic Community (EEC) in the 1950’s, is a classic example of the importance of previous historical decision making ( by actors from within institutions) to contemporary political process between the EU states today. For HI therefore, institutions primarily ‘constrain and refract politics, but they are never the sole cause of outcomes’ (Thelen and Steinmo, 1992:3). This is the central HI argument Geddes takes to Britain and European integration in this book; that past decisions in history by political actors have become entrenched within institutions, therefore constraining the possibilities for future policy change within those very institutions in the present day. For example, Gordon Brown and the Treasury’s decision to block Britain joining the euro in the late 1990’s, against the wishes of Tony Blair, fundamentally altered the future options and preferences for political actors in the EU from Britain (Geddes, 2013: 98-90, 183-85). This view of the development of European integration since 1945, while persuasive and a valuable contribution to the debate, is not without its critics and is but one way of theorising the political process of integration. This interpretation of institutions ‘comes at a cost’; chiefly in the way in which it denies institutions a constitutive role in politics (Checkel, 1999: 547). Its value as an explanatory tool of European integration therefore has limits, which are reflected in Geddes book and choice of HI as an approach. Social constructivism, it can be argued, also has much to contribute to the debate on European integration for states such as Britain, providing insights that a HI perspective misses (Checkel, 1999; Christiansen, et al. 1999) For Checkel, a ‘more sociological understanding of institutions’ is needed that ‘stresses their interest and identity forming roles’, as well as the possibilities for social learning and normative diffusion that institutions facilitate at the European level (1999: 545-6). However, while Geddes emphasises the HI approach he uses to frame his analysis of Britain and European integration at the beginning of Britain and the European Union, it can be argued that at many times the text acknowledges the part social construction has played in the Europeanization of the British political system. For example, in his description of the British state and European integration in Chapter 8, Geddes states that policy areas with direct contact with the EU, such as agricultural and trade policy, have become more ‘Europeanized’ than others such as home affairs where direct contact is much less, but growing (2013:217). This example points to European integration as a process of gradual socialisation, of norm diffusion, where political actors from Britain are exposed and interact with the ideas and patterns of behaviour within EU institutions therefore become more Europeanized, more integrated. A further example, in relation to the British state, is that of the Foreign and Commonwealth Office (FCO). The FCO is arguably the most pro-EU of British state institutions, due largely to its search for a purpose following the end of the British Empire, the lead it took in accession negotiations to the European Community in the 1960s and 70s, as well as the direct contact it has, both domestically and in Brussels, with EU political actors and institutions (Marsh, et al. 2001:215 as cited in Geddes, 2013: 201). Social constructivism therefore contributes to the understanding of how the collective understandings and identities of European integration have contributed to the Europeanization of British institutions, like the FCO. As Aspinwall and Schneider (2003:5) have pointed out, there is often a lot of crossover between the ‘new institutionalisms’, in this case between theorists of the historical and sociological strands: the former concentrating on the ‘long-term effects of specific (possibly rational) decisions’, the latter with the ‘long-term institutional effects’ of interaction between political actors (2003:5). Elements of both of these are evident in Geddes analysis, which is to the books credit. In this book, Geddes has written a strong explanation of why a country that often seems so hostile to European integration, Britain, has become quite so Europeanized in terms of its political processes and institutions. In the limited space available, this review decided to concentrate on the epistemological underpinning of Geddes analysis; historical institutionalism, and contrast it with a sociological interpretation of European integration provided by social constructivism. By all accounts, Checkel is right when he states that ‘each school [historical institutionalism and social constructivism] explains important elements of the integration process; working together, or at least side-by-side, they will more fully capture the range of institutional dynamics at work in contemporary Europe’ (1999:546). Geddes emphasis on the importance of long-term historical decision making on the present, and future, of British political and European integration, through seminal events such the decision not to participate in the formation of the ESCC and EEC in the 1950’s and the UK Treasury and Chancellor Gordon Browns reject of the euro in the late 1990’s, certainly goes a considerable way to capturing a sense of the institutional dynamics at work in European integration. Also, and then if not explicitly, implicitly, Geddes also recognises the contribution a sociological interpretation of European integration can bring; through a greater understanding of how the development and spread of European political ideas, identities, behaviours and norms have been formed through the social interaction of political actors, producing the institutions of the EU we have today. This book is a welcome contribution to the debate, though further conceptual work on EU integration is clearly required for a fuller understanding. Aspinwall, M and Schneider, G. (2000). ‘Same Menu, Separate Tables: The Institutionalist Turn in Political Science and the Study of European Integration’, European Journal of Political Research, 38(1), 1–36. Aspinwall, M. (2004). Rethinking Britain and Europe: Plurality Elections, Party Management and British Policy on European Integration, (Manchester University Press). Checkel, J T. (1999). ‘Social Construction and Integration’. Journal of European Public Policy, 6(4), 545-560. Christiansen, T., Jorgensen, K. E., & Wiener, A. (1999). ‘The Social Construction of Europe’. Journal of European Public Policy, 6(4), 528-544. Geddes, A. (2003). The European Union and British Politics. (London: Palgrave Macmillan). Geddes, A. (2013) Britain and the European Union (London: Palgrave Macmillan). George, S. (1998). An Awkward Partner: Britain in the European Community (Oxford University Press). Gowland, D, Turner, A and Wright, A. (2009). Britain and European Integration since 1945: On the Sidelines. (London: Routledge). Gowland, D and Turner, A. (1999). Reluctant Europeans: Britain and European Integration, 1945-96. (Longman). Marsh, D, Richards, D and Smith, M. (2001) Changing Patterns of Governance in the UK: Reinventing Whitehall? (Basingstoke: Palgrave Macmillan). Pierson, P. (1996). ‘The Path to European Integration A Historical Institutionalist Analysis’. Comparative Political Studies, 29(2), 123-163. Steinmo, S and Thelen, K. (1992). ‘Historical Institutionalism and Comparative Politics’ in Steinmo, S, Thelen, K, and Longstreth, F. (Eds.). Structuring Politics: Historical Institutionalism in Comparative Analysis. (Cambridge University Press). From my experience, one of the few utterances that creates more anxiety amongst undergraduates and postgraduates (even more than ‘theory-based’), are the words ‘quantitative methods’. I imagine that for many politics students (and dare I say, some academics), this phrase sends people hurtling back in time to dark and intimidating school classrooms, where statistics and maths were only something to suffered through until lunchtime or that interesting history class. Figuratively speaking, of course. Time travel as I write this is still impossible. I can say all this, as this was probably me a few months ago. I have however now seen the light, and quantitative methods and statistics no longer worry me in the same way. You might say I am a recovering ‘quantophobe’. You might also say that is stupid and I should go and do some proper work. Fair enough. This aside, here are a few observations I have about learning quantitative methods and statistical techniques over the last few months:If you are worried that you disliked or even hated maths at school, or that it has been years and years since you last learned about statistics, or that you need an A at A-Level to even begin to understand how to use quantitative methods in your UG or PG dissertations, my answer is this: don’t be. 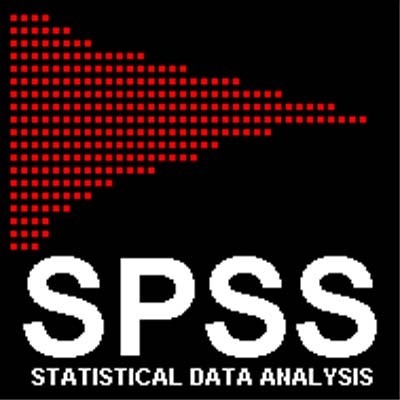 The basics of interpreting and analyzing quantitative data through statistical software such as SPSS are not massively complicated, though they do get more difficult the more advanced you go. If I can learn and understand them, then anyone can. What are needed is patience and a willing to learn and understand. If you bring them to any quantitative methods training, you are already half way there. The more you understand the maths behind the statistics the better, but this is not vital to learning how to use and interpret statistical techniques, such as crosstabulations, analysis of variance or Pearson’s r correlation, successfully. Many researchers and academics that use quantitative methods in their work will probably only have limited knowledge of the complex maths behind each statistical technique they use. This doesn’t mean they don’t know how to use they correctly, and importantly, effectively. Once you allow yourself to become submerged in all the quantitative techniques and language, you will more than likely start to identify how they could be utilised to support conclusions, investigate problems or answer questions in your own research. Statistics are powerful tools as they in allow researchers to come to more inferential based conclusions and knowledge claims, to support but importantly not necessarily to supersede qualitative evidence. I suppose the message of this post is don’t be scared of quantitative methods! If you are working on the early stages of a politics dissertation, undergrad or postgrad, or a future research proposal, I would seriously suggest exploring how quantitative methods could help boost the robustness of your research and the conclusions it draws. Using quantitative methods may not be suitable for your research, and this is fine. But if you’re aware that people have used them in the past, within a similar study, I would explore the possibilities. You’ve got nothing to lose, and potentially, everything to gain. P.S. ‘Multivariate Aggression’ was my contribution to a recent discussion about quantitative methods sounding band names. I thought it was a rather good effort. You are allowed to disagree. P.P.S. Alternative title for this blog post was ‘Taking the Quant-um Leap”. It has perhaps, as they say, been done.